Like the Hollywood Sign, you can’t miss the Downtown Skyline. Either up close and personal to a little blip in the distance, you pretty much can see the skyline from anywhere or everywhere in Los Angeles; on most days (Ok…80% of the days you can see the skyline from anywhere. However, for 20% of the time on gloomy days, you may not see it at all unless you’re really close). 1. 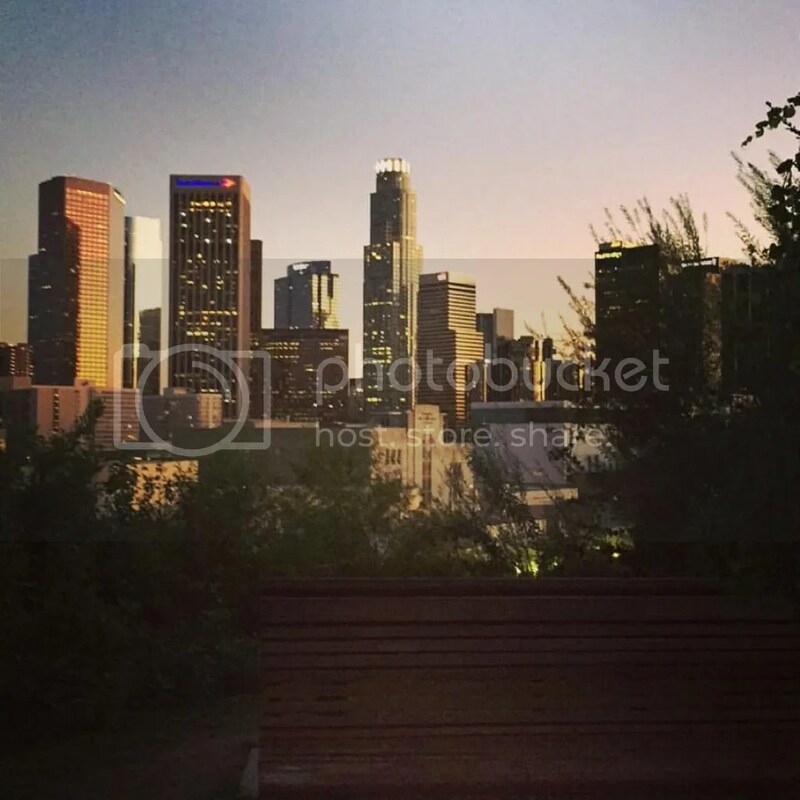 Vista Hermosa Park: The views of the skyline is AH-Mazing! It feels like it juts right at you. There is this bench that everybody takes a picture with. It’s perched up on a small hill. If you start from the parking lot, just follow the path to the right. Once you get to a clearing, the bench is on your left. This park is located on Toluca St and 1st St. (100 N Toluca St, Los Angeles, CA 90026). There is a small parking lot on Toluca and one on 1st. Also there are plenty of street parking if you can find it as it is in a residential area. Park hours are from 8 am to 8 pm. I’ve been here during the day and close to sunset. Both times had been amazing! Many of the locals use it for jogging and picnics. However, because of the amazing view, I’ve seen weddings and also proposals being performed. Definitely a hidden gem in the heart of Los Angeles. 2. Elysian Park: Angels Point and Point Grandview. 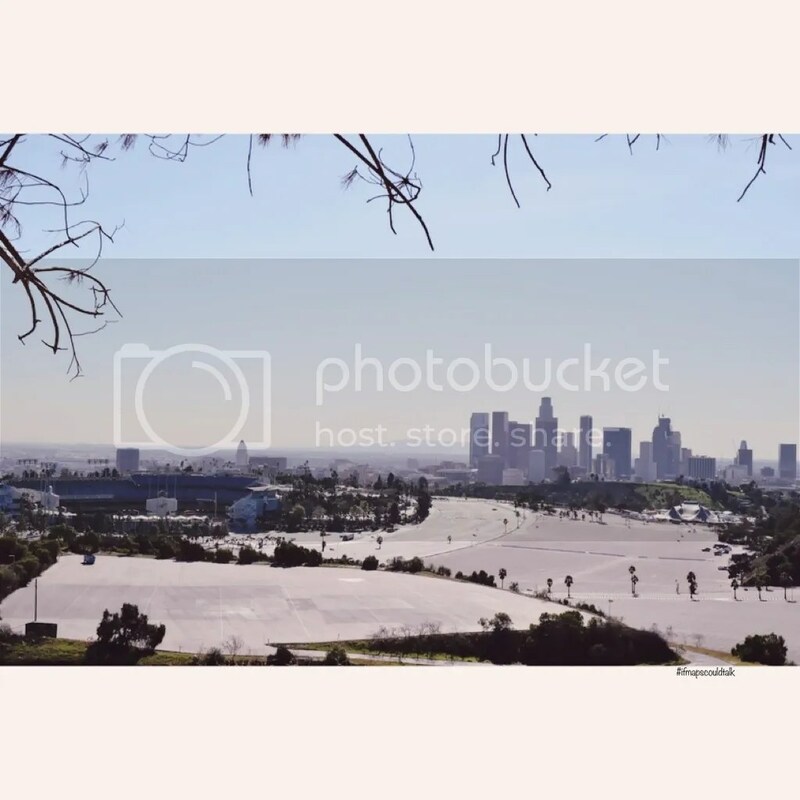 You can get a pic of the Dodgers Stadium and the skyline in one photo. Must be a really good place to see the fireworks at Dodger Stadium. I’m not sure if it’s allowed though as I have not been, but could be a great place to check out the free show. For more info on the fireworks check out http://m.mlb.com/la/tickets/info/fireworks. There are signs that show you the way once you get to Elysian Park. 3. Freeways: Almost all the major freeways in Los Angeles merge in Downtown. The best views are when you’re going on the 101 North, the 110 South/North, the 10 East/West, the 5 South/North, and the 2 East/West. The best is also when the sunsets in the horizon and you get the cotton candy skies behind the skyline. 4. Other than freeways, there are bridges that cars and pedestrians can access Downtown. Most of these bridges are historic (1st St, 4th Street, etc.). Some have intricate details and with the bridges and the skyline in the background, makes one heck of a shot! 5. 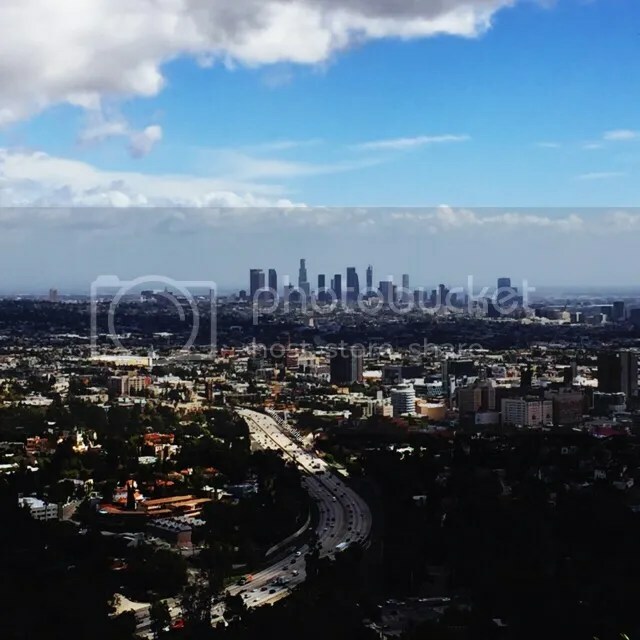 Outer Los Angeles: Most places that are perched up on the Mountains have a great view of the skyline. If it’s not a gloomy day, you can see the skyline in a distance with LA fog/pollution. Here are the places: Getty Center, Runyon Canyon, Hollywood Bowl Overlook, Wisdom Tree Hike, Hollywood Sign Hike, and the Griffith Park Observatory just to name a few. What are your favorite places? Are there any that are not mentioned? This entry was posted in Downtown, See and Do and tagged Los Angeles, Skyline. Bookmark the permalink.